Our new app helps Oaklanders get Earthquake Safe! Oakland has almost 610 homes at risk of collapse or serious damage in the next earthquake we will experience! These homes, called “soft-story” buildings are multi-unit, wood-frame, residential buildings with a first story that lacks adequate strength or stiffness to prevent leaning or collapse in an earthquake. These buildings pose a safety risk to tenants and occupants, a financial risk to owners and risk to the recovery of the City and region. Today we are launching a new OpenOakland web and mobile app that will help inform and prepare Oakland renters and homeowners living in these buildings at risk of earthquake damage. The new app: SoftStory.OpenOakland.org provides Oaklanders with a fast, easy way to see if their home has been evaluated as a potential Soft Story building and is at increased risk in an earthquake. 238: buildings have been assessed and found to have been retrofitted or to be exempt. 531: buildings are soft story types but have not had complete screenings yet. 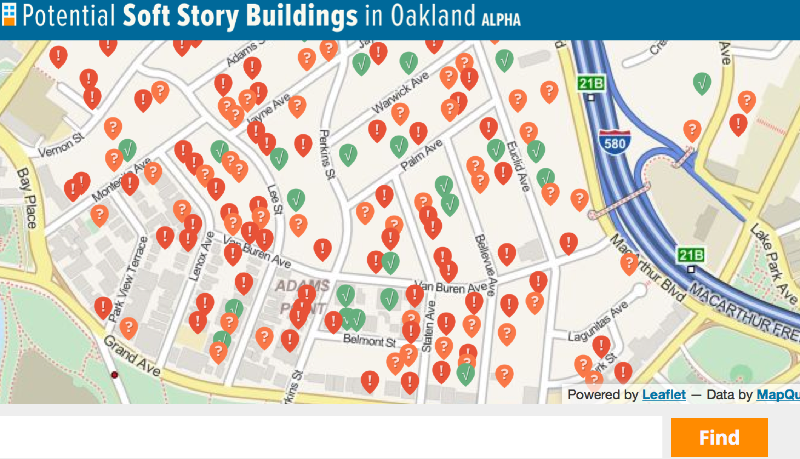 This new app relies on data from a screening of potential soft story buildings undertaken by the City of Oakland and data analyzed by the Association of Bay Area Governments (ABAG). 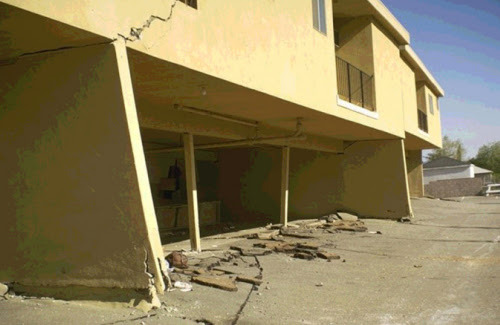 Owners and renters can see if their home is is considered at risk or has already been retrofitted, and learn about the risks to soft-story buildings in a serious earthquake, an event that is once again on people’s minds after last week’s magnitude 6.0 earthquake in Napa. We’re launching this app as a prototype with short notice as we believe this information is critical for Oaklanders at this time. The app was built with the support of ABAG and the City of Oakland and had technical support provided by Code for America. Once again, where local government is increasingly transparent, where data is open and in open formats, our community can build new tools to help inform and empower residents.